A report from the New America Foundation says that bulk surveillance of phones and emails by the NSA does not heavily contribute to terrorism prevention. For the report, the NAF conducted an analysis of 225 individuals, “recruited by (al-Qaida) or a like-minded group or inspired by (al-Qaida’s) ideology” and charged in the United States with an act of terrorism post-Sept. 11. 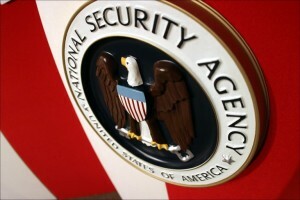 NSA surveillance contributions to initial investigations, the report states, were minimal. American telephone metadata was only found to have played a role in initiating 1.8 percent of investigations, with a total contribution from NSA surveillance to investigations coming to 7.5 percent of cases. Traditional investigative methods, however, including informants, community tips and targeted intelligence provided 59.6 percent of impetus for those investigations. The widespread use of informants suggests that if there was an NSA role in these cases, it was limited and insufficient to generate evidence of criminal wrongdoing without the use of traditional investigative tools. The report also concluded that bulk collection of American telephone metadata also had “no discernible impact” on terrorism prevention and only “the most marginal of impacts” on terrorist-related activities. What policies should be in place to ‘fine tune’ U.S. surveillance practices?